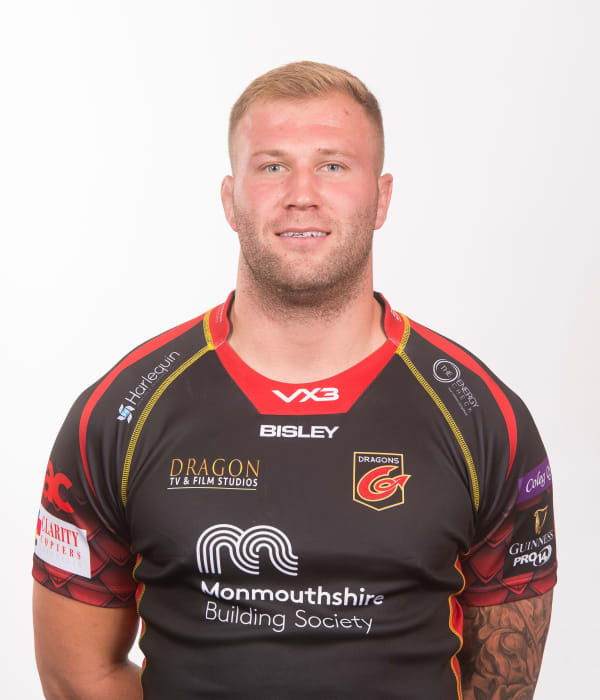 Destructive and powerful back row Ross Moriarty joined the Dragons in the summer of 2018 after moving from Gloucester. Having played for England Under 18 and Under 20, Moriarty made his Wales international debut against Ireland in August, 2015. He originally missed out on selection for Warren Gatland’s 2015 World Cup squad but was brought in after Eli Walker’s hamstring injury forced the Ospreys winger out of the tournament. Moriarty’s father Paul played in the first World Cup in 1987 before forging a successful rugby league career with Widnes. Ross was educated at Glyncollen Primary School and Morriston Comprehensive School in Swansea and played his junior rugby at Gorseinon.